greeting me with your delicate edges and your clusters of beauty. sharing with bella at 52 photos project. click here to view the other submissions for this week’s theme: black and white. my favorites. love this softness. the b&w really shows off the lovely details. great shot! lovely processing – simply gorgeous! That’s beautiful. Is it viburnum? 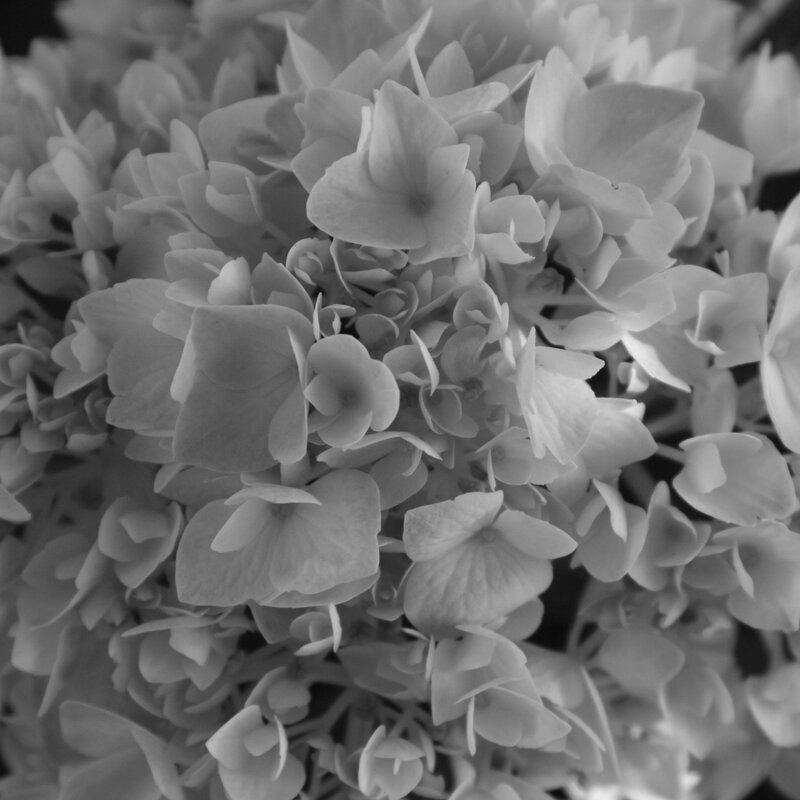 it’s actually hydrangea…but they’re very similar! Your image is very sensual and elegant at once! It’s interesting, how beautiful flowers are in black and white. Lovely Michelle. So soft and pretty. Gorgeous shot, love this flower. lovely – one of my favorite flowers! stunning b&w shot for this week!